Consider this an open thread to discuss the events in San Bernardino. 25 Comments on "Fear & Loathing"
Mass shooting or act of terrorism…we won’t know until a motive is uncovered. Sadly, it’s just another day in the USA. Tara, you are correct, Fox started this morning, but in fairness they were reacting to the New York Daily News front page. It’s interesting that the left never blames the individuals who commit the crime. Pretty sad commentary when people believe that the only way to stop society from killing each other off is to keep them from procuring modern weaponry. “thoughts and prayers” is code for don’t think or do anything. Yes, the 14 people killed in San Bernardino are better off because the people who shot them had modern weaponry. Give it time. Anyone under the age of thirty who isn’t proficient in the use of firearms will someday be a lamb for the slaughter. It’s going to get a lot worse; it isn’t guns, it’s people and thosewho manipulate the people. When a society is lead down the road to orchestrated chaos, what result would you expect? When I read Burgess’ “A Clockwork Orange” in high school, it never occurred to me that he was actually prescient. We are almost there. I’m curious as to what the administration’s spin doctors will finally label this event. I’m thinking something like “quasi jihadist workplace violence”. I think you missed my point, delecrat. My point is that it’s a pretty sad state of affairs when society is so vicious and uncivilized that we think the only way to stop people from killing each other is to take away their ability to get a gun. Why are people offended by Christmas Trees, and Nativity Scenes, but they aren’t offended by the date, specifically the year? I mean, that’s something that you have to acknowledge on a daily basis. And we’re supposed to reley on our government to “vet” the refugees. The San Bernardino killer made multiple trips to Saudi Arabia and Pakistan. That should at least cause a blip on the Homeland Security radar. Did it? No. There was a time when the United States was pretty much immune from Islamofacism. In these times of international travel and mass communication, that is no longer the case. They are coming for us, and more are coming- many are already here. Eventually, we will be seeing events like this weekly. Islam, in accordance with the Koran, is at war with the infidels of the West. Muslims are not moving to Europe for economic opportunity. They are using the power of demographics to conquer Europe. The head of the Muslim Brotherhood said as much. That is the plan. And, barring an epiphany within the European population if not their governments, the plan will succeed. Europe will join the Caliphate. Islam is dedicated to the Koran’s call for conquest. And they will never, ever stop. The West had better recognize that fact. “Liberals” and other deniers had better understand that all of their pet causes- abortion, gay rights, women’s rights, artistic freedom and so on- are not recognized by Islamic states. As a matter of fact, engaging in the aforementioned is punishable by death. The Christian church was reformed centuries ago. There are no more Crusades, no more conversions at the point of a sword. Conversely, Islam has not changed one iota. Submit or perish. If we eliminated Islamic terrorism, 10,000 people would continue to be shot to death by others every year in the US. Why should I worry about being shot by a Moslem when my chances are far greater of being shot to death by someone else? Agreed. Especially if you’re an inner-city black. But, you’re probably not going to get blown-up. Yet. Just look at the Middle East.. Incessant turmoil. The only “stable” countries (Israel exceptedl) are totalitarian Islamic states. And the reason for the chaos and violence? Not poverty, not geography, not oil. The problem is Islam itself. You have read the Koran or do you watch too much TV ? I have read parts of the Koran on the internet. And yes, I probably cherry-picked some Suras to accomodate my point-of-view; and yes, you can do the same thing with the Bible. But the Inquisition and the Crusades were centuries ago; radical Islam is contemporary. The Koran is a political document, designed to offset the gains of Christianity and unite the Arabs. Plain and simple. The Koran is part dogma, part political creed. And yes, Christianity was in many way a political movement in that it offered a means to exert a creative force previously stunted in the ossified Roman Empire. Toynbee investigates this in depth in his A Study of History. I did not glean the above information from television. But Christianity changed over time; from the people to money and power and then, through the Reformation, back to the people. Islam, conversely, is unchanged from the time of Mohammed. And the insanity of Muslim fanatics must be confronted, and in all probability, crushed. It’s either that, or submit. So, cherry-picking the Koran makes you an authority on Islam. I wonder Rick how you came about those passages you cherry picked? From entering “why Muslims kill” into a search engine? I am currently reading the Quran start to finish, you know, in context. I have yet come across anything that tells them to kill anyone, but I will get back to you. As for it being a political document, well so was the Old Testament, and the New Testament, as you said, but not in the context of how you see the Quran. Rick how you came about those passages you cherry picked? The appropriate Suras are used in countless articles. Easy to find. I am currently reading the Quran start to finish, you know, in context. I have yet come across anything that tells them to kill anyone, but I will get back to you. Read and get back to me- try to avoid using your usual rationalizations as an excuse. The Middle East has been in economic and social turmoil for centuries. Most Muslim countries are either in a state of perpetual chaos or under the boot of a totalitarian dictatorship. This is because Islam is more than a religion; it is also a form of jurisprudence and government. The problem of Islamic countries- and their victims- is Islam itself. Now, if Muslims abroad want to live in the 10th Century, fine. Who cares? If they want to bring their futility, violence and hatred here- forget it. Who attacked the World Trade Center- twice? Muslims. Who shot-up Paris? Muslims. Maybe after they gas the DC Metro, you’ll finally face reality. But for now, you sound just like Obama. 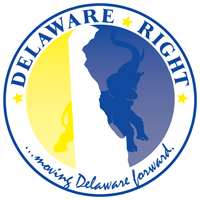 But don’t worry, your Delaware Liberal friends- Pandora, Geezer, delacrat- will soon arrive to help. Battle and jihad are endless. As instructed in the Koran. Well, I can see- and so can the majority of Americans. The blind are the Obamaites and their naive “religion of peace” sycophants in the media. And you. And this is the crux of the matter. This is what the western world needs to take into account when dealing with islam. In my personal opinion religious strife between the Abrahamic religions is sort of ridiculous seeing that they are all just bastardizations of of one original monotheistic religion. The same characters that are in the Bible are also in the Quran and Tanakh. Islam and Christianity both have similar takes on the “apocalypse” or “the rapture” In fact Jesus plays a role in the “end of days”, and according to Islamic prophecies he will side with Islam. Rick, “Let he who has eyes see”. You keep quoting “majority of Americans “. What you are actually quoting, unless you have spoken to the majority of Americans, is a pollster’s results. We all know polls can be manipulated depending on who doing the polling and what result is desired. Simply by what area calls are placed to. So could you clean up your language and say, “a majority of Americans polled” at least. Do you actually know any Muslims ? Rick, take a pill. What is anybody going to “gas”, bomb or whatever in Sussex County? So Rick is using the views of someone else’s article to define what he could read for himself, shocking. To answer your question rick of why I am reading the Quran? So that unlike you, I can make educated comments about the topic, and not simply regurgitate what other haters have written. Now to once again demonstrate that you cherry pick and take things out of context let me address the verses you listed above from the Quran. You quoted Surah 2. The Cow, 191-193. I have added 190-195 to add a little context. “190. Fight in the cause of Allah those who fight you, but do not transgress limits; for Allah loveth not transgressors. Seems like the Quran is simply saying go out and slay people. Here we see that the Quran is telling them to fight those who fight them, but do not transgress limits. In my view this would seem to mean, defend yourselves, but do not go beyond self-defense. And here in 192-193 we see, “192. But if they cease, Allah is Oft-forgiving, Most Merciful. All this is saying is that if you reject God, then God will reject you. How is this any different than what is said in the Bible many times? As for your other Quran quotes Rick, I have not read through them in their entirety, so I won’t comment on them out of context. I would say though, you are doing exactly what the religious extremist do, you are taking things out of context to make the point you wish to make. They take things out of context to incite people to violence. You are no better than the terrorist. You are an intelligent man Rick, why not take the time to actually educate yourself, instead of simply searching for support of what you already believe? ← The Beaver Dam Property Dispute….the next to the last report.